From Orange Park - South on Blanding Blvd until you get into Middleburg center. When you get to the intersecrion of 218 and you will see Walgreens on left and CVS on your right. We are located 1/2 mile south on the left accross from the Chevron gas station. From Greencove Springs - Take Rt 16 to Rt 218 at Penny Farms, Continue until you hit Blanding Blvd. You will see Walgreens on your left, take left and contiue 1/2 mile south we are on the left accross from the Cheveron gas station. 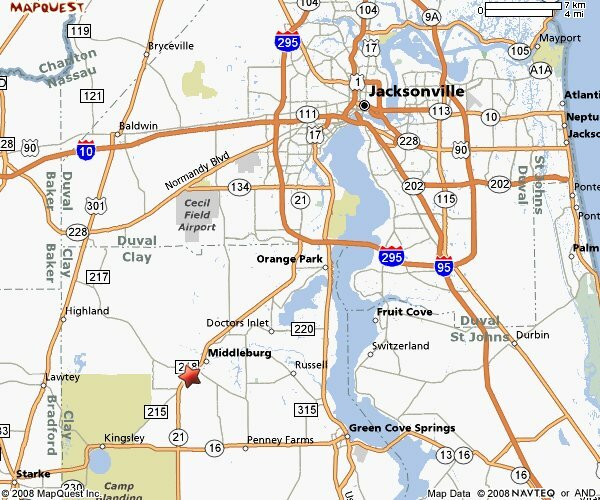 From Maxville - 301 to 218 follow 218 until you hit Blanding Blvd, you will see CVS on your right. Take right and we are 1/2 mile south on the left accross from the Cheveron gas station. From Keystone - SR 21 toward Middleburg and Orange park. After you hit the intersection of SR 215 we are about 1 1/2 miles on the right accross the street from the Chevron gas station.